Being a sole concern firm, we have put forth for our clients a high-quality Automatic Soap Cutting Machine to our clients. The offered machine is manufactured using quality assured components and latest techniques under the strict supervision of talented professionals who hold years of experience in the domain. Owing to its excellent performance, this machine is widely applauded by our renowned patrons in the market. 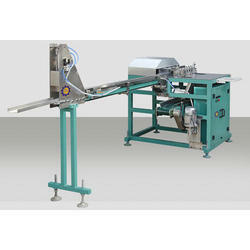 This machine is used for cutting of soap. We are the leading organization to offer our precious clients an optimum quality Semi Automatic Soap Cutting Machine. Under the stern vigilance of our diligent technocrats, these machines are properly manufactured using supreme quality components and ultra-modern techniques. In line with predefined industry standards, the offered machines are examined against different measures of quality by quality inspectors to ensure their flawless functioning. These machines are used for soap cutting. Owing to our rich industry experience, we are engaged in offering a premium quality Pneumatic Toilet Soap Cutting Machine. 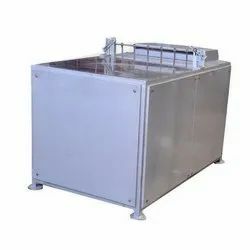 The Pneumatic Dish Wash Round Bar Cutting Machine is designed to cut long round Solid bar into round cakes in required dimensions in single stroke of cutting from plodder. The bar are sensored automatically and moved forward for packing. Looking for “Soap Cutting Machine”?